The Maori, Break Dancers, and Native Americans. Each group cherishes the opportunity to share their culture through dance. Northern Cheyenne eminent artist Bently Spang presented his performance art piece “Tekcno Pow Wow III” in the University of Wyoming Union Ballroom, in conjunction with UW’s Shepard Symposium on Social Justice. “’Tekcno Pow Wow III’ is an audience-participatory, multimedia, group performance art piece,” says Spang. 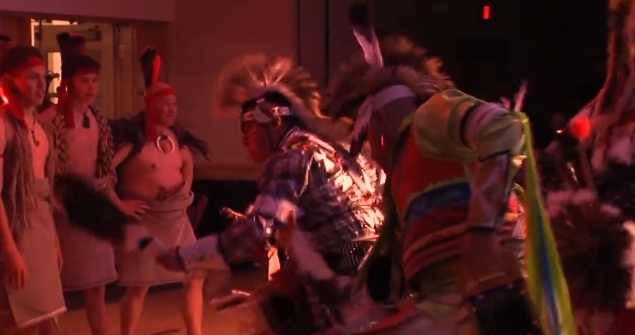 Responses to "Native American Traditional Pow Wow Dancers Meet Maori Haka (VIDEO)"